For a runaway slave in the 1840s south, life on the run can be just as dangerous as life under a sadistic Massa. That’s what fifteen-year-old Naomi learns after she escapes the brutal confines of life on an Alabama plantation. Striking out on her own, she must leave behind her beloved Momma and sister Hazel and take refuge in a Georgia brothel run by a freewheeling, gun-toting Jewish madam named Cynthia. There, amidst a revolving door of gamblers, prostitutes, and drunks, Naomi falls into a star-crossed love affair with a smooth-talking white man named Jeremy who frequents the brothel’s dice tables too often. The product of Naomi and Jeremy’s union is Josey, whose white skin and blonde hair mark her as different from the other slave children on the plantation. Having been taken in as an infant by a free slave named Charles, Josey has never known her mother, who was murdered at her birth. Josey soon becomes caught in the tide of history when news of the Emancipation Proclamation reaches the declining estate and a day of supposed freedom quickly turns into a day of unfathomable violence that will define Josey — and her lost mother — for years to come. 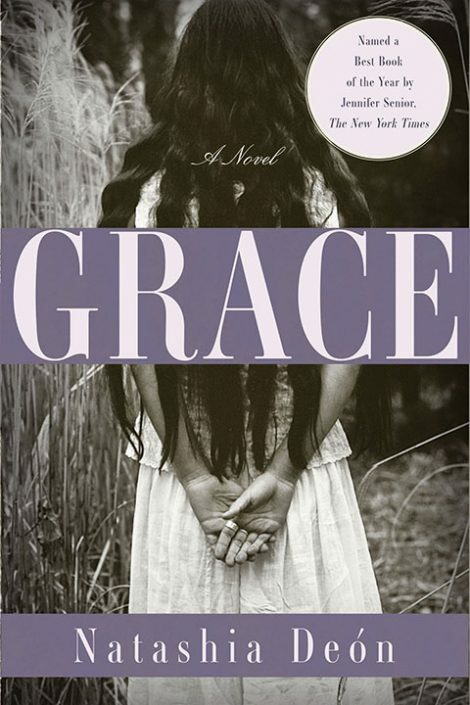 Deftly weaving together the stories of Josey and Naomi — who narrates the entire novel unable to leave her daughter alone in the land of the living — Grace is a sweeping, intergenerational saga featuring a group of outcast women during one of the most compelling eras in American history. It is a universal story of freedom, love, and motherhood, told in a dazzling and original voice set against a rich and transporting historical backdrop. Natashia Deón is the recipient of a PEN Center USA Emerging Voices Fellowship and has been awarded fellowships and residencies at Yale, Bread Loaf, Dickinson House in Belgium and the Virginia Center for Creative Arts. 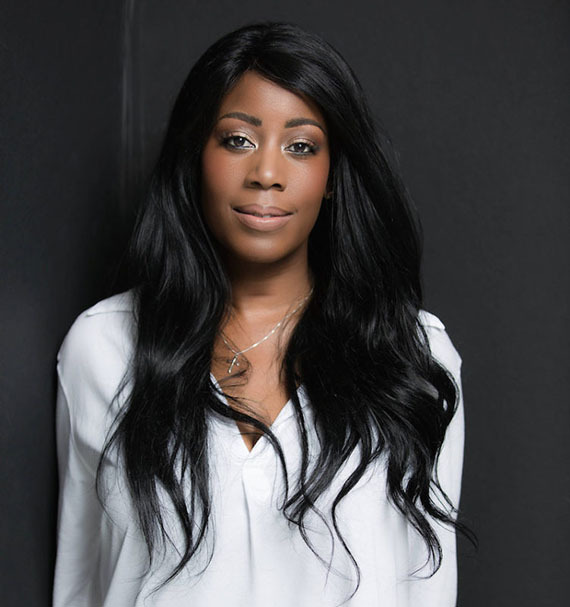 Named one of 2013’s Most Fascinating People by L.A. Weekly, she has an MFA from UC Riverside and is the creator of the popular LA-based reading series Dirty Laundry Lit. Her stories and essays have appeared in The Rumpus, The Rattling Wall, B O D Y, The Feminist Wire, and You: An Anthology of Second Person Essays, among others. She has taught creative writing for Gettysburg College, PEN Center USA, and 826LA. A practicing lawyer, she currently teaches law at Trinity Law School. 1. The novel is set in the south, across plantations and shacks, across Georgia and Alabama, with dreams of both North and South. How important is landscape to the narrative? How does it define these characters? 2. Grace shows us the lives of a distinct set of outlaw women, ones who go against the norms of women at that time. Who are these outlaws and how do they affect the story? Do you feel Grace is a novel of empowerment? Discuss. 3. How does regret figure into the narrative and how important is it as a guiding force for these characters? 4. We see many kinds of love in the novel: between a mother and a daughter, a father and a daughter, love between Naomi and Jeremy, and between Josey and her family. How does love work in the novel? How does it sustain these characters or lead to their undoing? 5. The novel contradicts the misconception that the day of The Emancipation Proclamation was a joyful one for slaves and looks at the confusing aftermath of that event and the continuing Civil War. Were you surprised to read this? How do the characters contend with this confusing and violent time? 6. Grace eloquently presents the idea of an afterlife as Naomi narrates the book from beyond, watching her daughter grow up and live her life. How did this presentation affect your reading of the novel? What other books and film have grappled with this issue? Does it change or alter your ideas of an afterlife? 7. How did you feel at the end of the novel? Do you feel justice was served? How important is the idea of justice to these characters? Is mercy more important? Discuss how all of these helped the character move forward from the events of the novel.